In this video Mark Donovan of HomeAdditionPlus.com explains the steps involved for conducting home remodeling contractor background checks. 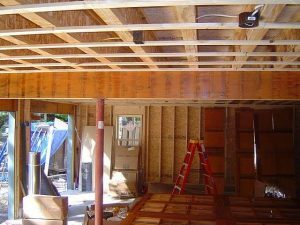 Hiring the right home remodeling contractor or subcontractor is critical for ensuring your home remodeling project is completed on time and budget, and without major contractor hassles. To ensure your home remodeling project goes smoothly I recommend the four steps below in performing contractor background checks. First, make sure to confirm with your state that the contractor is licensed, and that there are no known records of issues with him filed at the state. Second, contact your local Better Business Bureau to make sure there are no complaints or issues that have been filed with your prospective contractor or subcontractors. Third, confirm the contractor has insurance. Check with the contractor’s insurance company to confirm that the contract is paid up on his premiums. The last thing you want to have happen is for someone to get hurt at your home while it is being remodeled and the contractor has no liability insurance. Also, the insurance should protect you in the event there is jobsite theft during the home remodeling/construction. Lastly, make sure to call the contractor’s references. I suggest you contact four references. Two should be relatively new customers of the contractors, and two should be somewhat older customers, e.g. 2 to 3 years ago. Contacting the more recent customers should shed light on whether or not your contractor keeps on schedule and budget with his projects, performs craftsmanship like work, and is a good guy, or gal, to work with. Checking the older customer references allows you to hear how the contractor’s work is holding up. Does it stand the test of time? In addition, the contractor’s older customers may be more likely to give you an honest assessment of the contractor. If your prospective contractor refuses to provide you with his/her contractor license, insurance policy number, and/or references don’t waste anymore time with him or her. It is a red flag. More than likely he or she isn’t licensed, has no insurance, and/or doesn’t have any customers that can say something positive about him or her.